Forrest Gump, Ghostbusters and The Godfather all feature…but what takes the top spot? 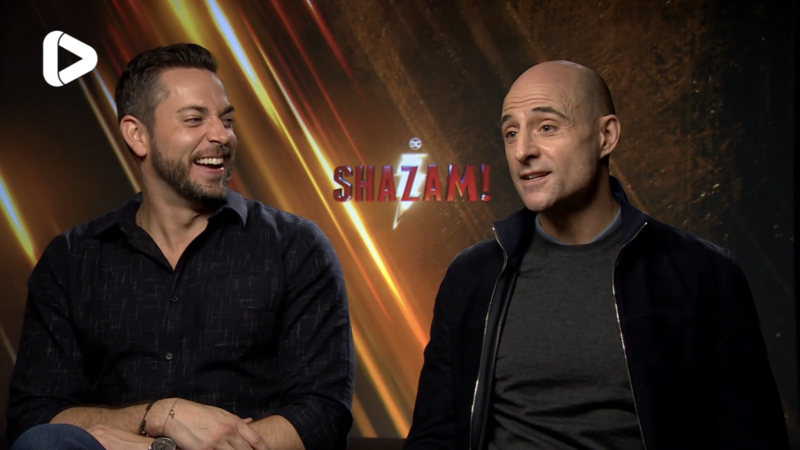 Ahead of the release of DC’s and Warner Bros eagerly-anticipated superhero movie, Shazam!, we sat down with the stars of the film, Zachary Levi and Mark Strong to talk about their 5 favourite films of all time. Personally, I could talk to everyone from all walks of life, from strangers to best friends about film for hours. I genuinely believe that everyone has a list of their top 5 films, those movies that you can just watch again and again and again. Films you can quote without even realising you’re quoting they’re that imprinted on you. One of the best things about film, and art in general, is that it is totally subjective. Films that deeply resonate with you may not with me and vice-versa. My list of top 5 films for example, includes Superbad and Edward Scissorhands and if anyone tells me they ain’t up to much, it really annoys me! I love the idea of everyone having a list of their favourite films…including movie stars. Shazam! is out now in cinemas and is released by Warner Bros.